High, Linda Oatman. One Amazing Elephant. New York: Harper, 2017. All sorts of surprises await twelve-year-old Lily when she leaves her father in West Virginia and travels to Florida to attend the funeral of her grandfather. She stays with her grandmother in a circus community. She spends time with her mother, a trapeze artist. She makes a new friend, Henry Jack. 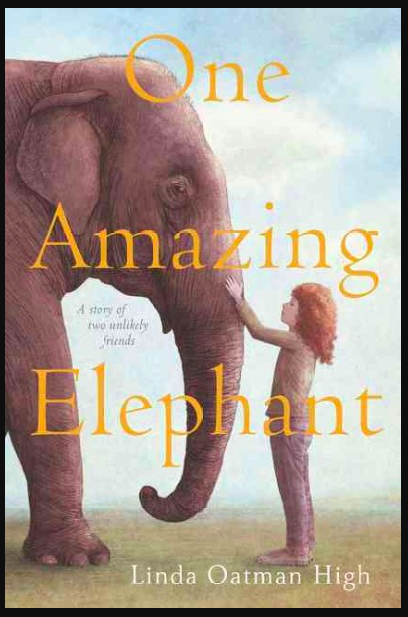 And she discovers that her grandfather’s beloved elephant, Queenie Grace, is not frightening after all. This 258-page novel told from alternating points of view is a surprising delight, a heartfelt story of finding unexpected love. Highly recommended for animal lovers 11 to 15 years old.